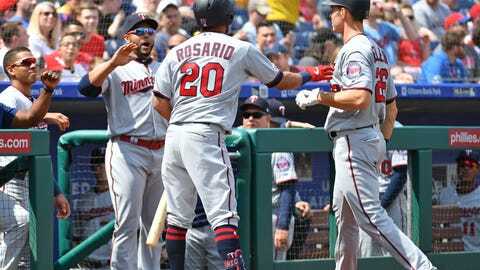 Sunday, April 7: Twins' Max Kepler celebrates his third home run in as many games against the Phillies. 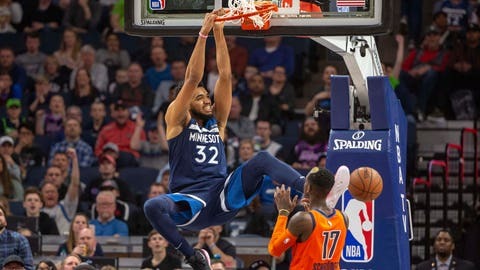 Sunday, April 7: Timberwolves center Karl-Anthony Towns dunks the ball against the Oklahoma City Thunder. 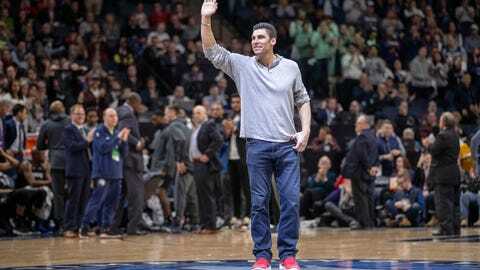 Tuesday, April 9: Former Minnesota Timberwolves player Wally Szczerbiak waves to fans after being introduced during a timeout in the first half against the Toronto Raptors at Target Center. 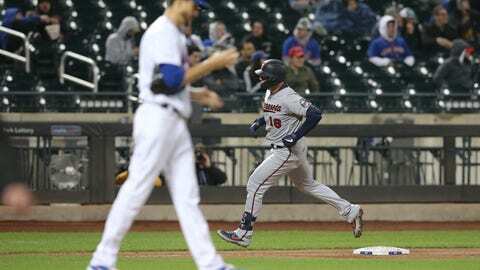 Tuesday, April 9: Twins catcher Mitch Garver rounds the bases after hitting one of his two home runs off Mets ace Jacob deGrom. 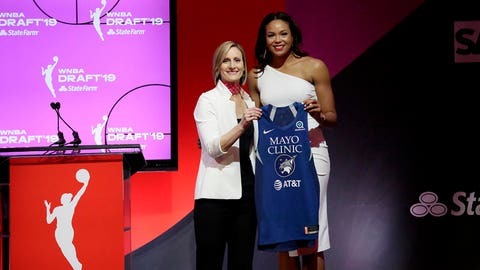 Wednesday, April 10: Former University of Connecticut forward Napheesa Collier poses with a jersey after the Minnesota Lynx selected her sixth overall in the 2019 WNBA Draft. 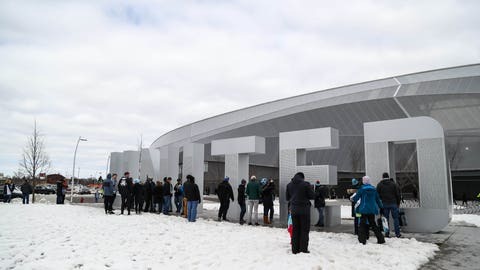 Saturday, April 13: Fans congregate in front of Minnesota United signage before the opening game at Allianz Field. 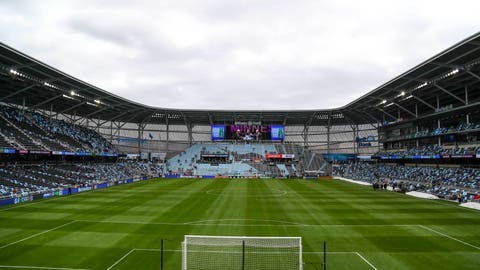 Saturday, April 13: A general view of Allianz Field before its opening game between New York City and Minnesota United. Saturday, April 13: United midfielder Osvaldo Alonso celebrates with teammates after scoring a goal in the first half against New York City at Allianz Field. 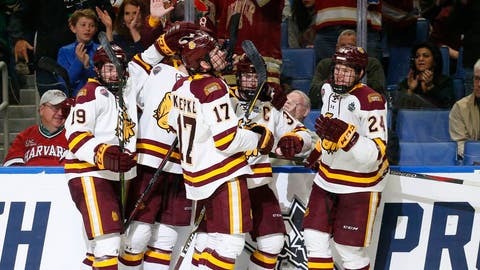 Saturday, April 13: Minnesota Duluth celebrates a second straight college hockey title after beating Massachusetts 3-0. 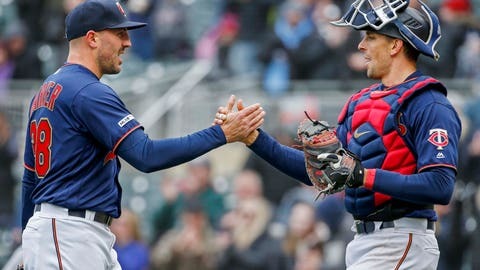 Saturday, April 13: Minnesota relief pitcher Blake Parker celebrates with catcher Jason Castro after the Twins' victory over the Detroit Tigers at Target Field.